State Senator James Welch, seen here in May, said he’s “very hopeful” differences between House and Senate health care bills can be worked out before the session ends July 31. At least a dozen business and health care industry groups are sounding alarms about proposals by state lawmakers to raise millions of dollars for struggling community hospitals, warning that the plans would send premiums and other costs soaring. House lawmakers last month approved a bill that would impose more than $330 million in new assessments on insurers and large hospitals, with the money going to community hospitals. The House also included new assessments on urgent care centers, retail clinics, and surgery centers — drawing even more opposition. The House proposal would require such clinics to pay 8.75 percent on the total amount they charge commercial insurers — which leaders in the growing urgent care industry called devastating. If urgent care centers close, costs will rise as more patients seek care in hospital emergency departments, which are much more expensive, argued Ginter, a board member of the national Urgent Care Association. Tine Hansen-Turton, executive director of the Convenient Care Association, said in a statement that the House’s “tax would exacerbate the Commonwealth’s health care access problems and make health care services more costly.” The association represents companies such as CVS Health, which operates retail clinics. At issue are the Legislature’s efforts to help community hospitals, whose patients include large shares of low-income individuals. These hospitals often struggle to compete with wealthier hospitals with bigger brand names, and they have long said they are underpaid. The Senate’s version of health care legislation, approved in November, would set what policy makers call a “rate floor” for insurance payments to help community hospitals. It would mandate that they be paid at least 90 percent of the average price of a medical service.It also would require some large hospitals to pay hefty penalties if spending rises too quickly. As House and Senate negotiators try to reach a compromise, the backlash to their proposals is growing. AIM and several other groups, including the Retailers Association of Massachusetts and the National Federation of Independent Business, sent a letter detailing their concerns to legislators last week. House majority leader Ronald Mariano, a member of the conference committee working on a compromise bill, said he hears the critics. Lawmakers from the House and Senate must work quickly to reconcile their differences. They have less than two weeks to approve any major new bills before the formal legislative session ends July 31. If legislators approve a compromise bill, it’s unclear how Governor Charlie Baker will deal with it. Among his options: signing or vetoing it or sending the bill back with changes. 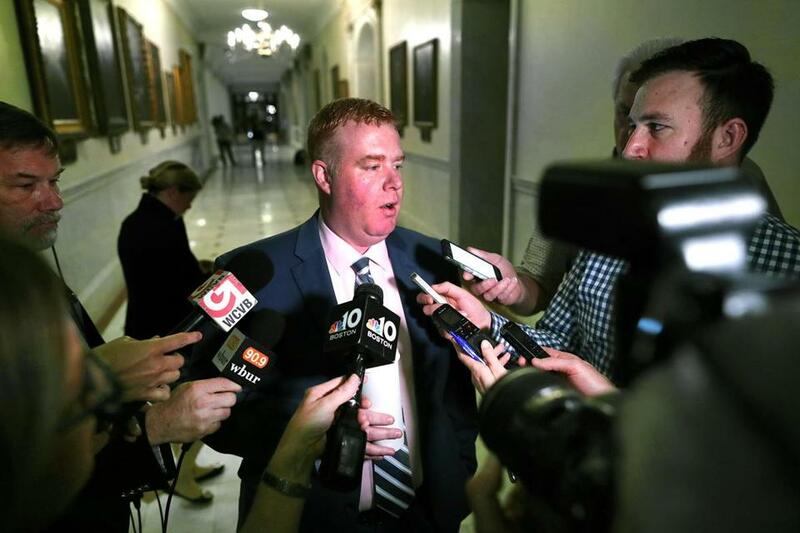 Asked about the legislation Thursday, a Baker spokesman said the administration “has saved taxpayers hundreds of millions of dollars” by reforming the state Medicaid program, called MassHealth, and by fixing the Health Connector, where individuals buy medical insurance. “The administration is focused on additional measures to bring down the costs of health care for consumers,” spokesman Brendan Moss said in an e-mail. Senate leaders said their health care bill was designed in part to control costs. But House leaders said the goal of their legislation is to help community hospitals — not to save costs. This came as a surprise to many in the health care and business communities. Health care and business lobbyists have spent the past several days writing letters, calling, and meeting with legislators to raise their concerns. “We oppose proposals that will add costs to the system or expand state oversight and intervention in ways that do not recognize the complexity of our state’s health care system,” wrote James E. Rooney, chief executive of the Greater Boston Chamber of Commerce. Health insurers would pay $247.5 million in new assessments according to the House bill. Large hospitals would pay $90 million. Insurers said they would have to tap into their cash reserves to pay the new assessments. But insurers are required by law to keep a certain amount of cash on hand so they can stay solvent. And so, in order to meet those cash requirements, insurers would have to raise premiums, they said. Health insurance premiums are paid by businesses and consumers, and they already tend to rise every year. The Massachusetts Health & Hospital Association raised concerns about the Senate bill but has been more supportive of the House approach. Neither the House nor the Senate has proposed any major changes to save money in the state MassHealth program — an area that the governor has tried to target. MassHealth provides coverage for about 1.85 million low-income residents and accounts for about 40 percent of the state budget.